“Music is a divine gift” it’s said, that might be for its ability to communicate emotions. Music can make you feel sad, happy, angry, passionate, hopeful… This is why we tend to listen to a specific song when we are in a certain mood. 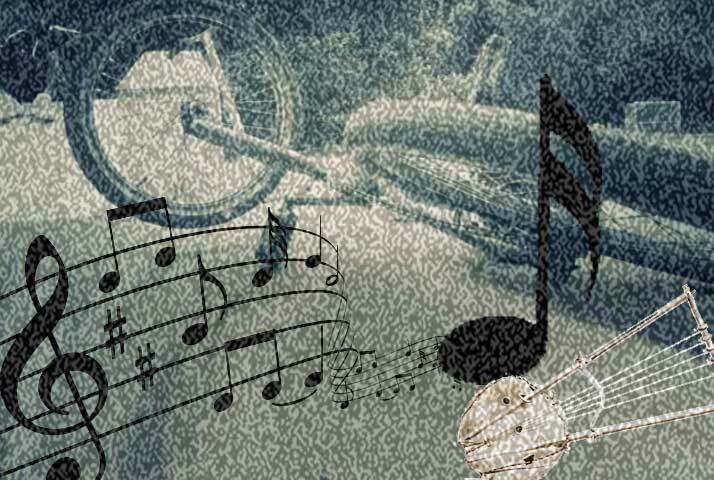 Like taste and smell music is also part of our memories, this is why when we hear a song after a very long time, it triggers a vivid memory of where we were, with whom and how we felt when we heard that same song long ago. However, unlike literature it is impossible to scrutinize music, we can never tell if “happy” as an emotion translates into “F” or “D” in musical notes. Therefore, we can only judge how we experience music, what is known as musical aesthetics. Discussing the aesthetics of a song might include; structure, lyrics, harmony … it still remains a subjective judgment that has a lot to do with the listener and their experience of the song or piece of music rather than the piece itself. The topic intended for discussion here within is the latest song titled”Bahgi’Leni“, a duet sang by the living legend Abrar Osman and the talented Fitsum Beraki, the latter is responsible for both lyrics and melody. In the Tigrinya-English dictionary the word Bahgi translates to; desire, aspirations, longing and fancy. For any Tigrinya speaker though, it’s a word that encompasses all the four above mentioned English nouns in one. It is describing something one desires fancily, aspirationally longing for, to translate it to a ”wish” is to simplify the meaning of the word and its linguistic gravitas. Keeping that in mind, for the purpose of this write up, Bahgi is understood to mean a dream, which translates the whole title Bahgi’Leni to mean; I have a dream. Dreams are aspirations we hold very close to our hearts. There are many societies and nations that are built on dreams. America is one such country “… Life, Liberty and the Pursuit of Happiness” is at the heart of its Declaration of Independence. 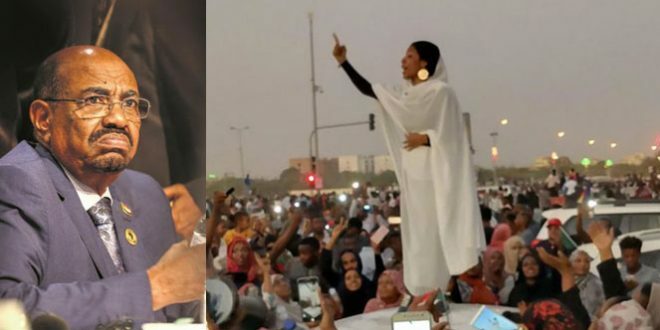 To the contrary Eritrea has become the burial ground of dreams and dreamers alike, it is so much so that the best form of protest as an Eritrean is to actually dare to dream and believe in one’s dream. This is exactly what the lyrics of Bahgi’Leni communicate as the voices of the duo convey it soothingly. The preciseness of the lyrics can be felt in the way the words are placed where they were intended much as a painter places her brushstrokes at specific spot for a reason. Similarly, which of the duo would sing which line is thoughtfully and skilfully arranged. No word here is to just fill a gap nor to forcibly fit in with the melody. 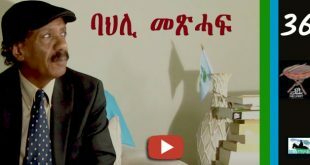 On the onset, we are presented with their individual dream, where Abrar begins singing “selam ‘ab hiwetey, Awet ‘ab mengedey – KbeSHo tmnitey” and Fitsum harmoniously follow with “ya’A zbl zeybley, K’Andr kem lbey – ‘ab rubay golgoley” both opening lines set the stage for a social commentary. In which listeners can readily surmise of one generation dreaming for peace in their life time, the younger generation wanting to live life without any restraints. At this point we think they have two different dreams they would like to fulfil. They both continue asking, stating and pleading with their world “Hray do?” In this asking part, they want their dreams to be accepted by their surroundings. Next comes “Hray’do Alemey Hray’do!” In this stating part, they seem to not care if their environment accepts it or not, they will dream anyways. Finally, comes “alemey belni Hraye.” In this pleading part, they appear to pleas to their world to allow them to dream and have their dreams be fulfilled. In a way, it’s also asking for life to change your luck, your story, it’s asking life to allow you to tell a different story than the one you are currently being a helpless actor in. At the same time, telling life, that “I” will make it in spite of the obstacle you present. ” selamka selamey – bahgKa dlietey, natka’ye wegeney” this is when it’s really clear to us that all along it is one and the same dream. Throughout the song they confirm to us that they believe in their dream, they assure us that it is attainable, but not without a struggle “bahgey teQales’ala, Cnqey tetenfs’ala”, we also learn that this dream is about the simple things in life ”..wefire bietey kmlesa”. But, then, the pivot of the dream begins to transform toward the listeners. At this point their dream becomes ours too as they go on telling us that it is not going anywhere “aynu kefitu lalay, bahgey kzenb kem’may” one day it will certainly be fulfilled “wala ynwaH Ewan Hanti mealti’ala”. There is rhyme and reason to this madness they seem to suggest. The hope, the wish, and the dream carries with it certain apparent path. There is a formula on how to achieve this vivid dream “fatli fiHska gemed, fQri reriKa snit, tesfa seniQka Tsnaat” the components of which demand dedication, hard work and above all a belief in achieving the dream; if all provided, both singers echo “ybSaH’yu tmnit”. The language chosen is exquisitely full of depth, furthermore it uses the pains and aches of our society to uplift and give hope. Listening to a line like “men’yu ‘mo nSa’Eri kemaye, zwqa’E quslu keyHaweye” or another line “habni T’um Klamedo, yeaKleni nabra zendo zendo” and a few more lines like these carefully planted, one might get a lump in the throat but soon feel that it’s not burdening. In fact, what this does is create a sense of recognition and an urge to believe that in spite of all the pain there is enough reason to dream and have faith. Only a genius in his artistic craft is able to create anything positive and uplifting in our current situation without leaning on nostalgia and an arrogant sense of patriotism. The lyrics are simple, beautiful yet full of depth. The structure of the music is done so that the dirb section is longer than usual, heaven for the guayla loving crowds. You will shake your shoulders joyfully lest you takeoff flying. Being one of those people that wish a meeting between Léon Theremin and Henry Cowell never ever took place back in the 1930s and that the Argentinean group Roy Vedas – Fragments of Life never released in 1998. Just feel they should have given those dates a pass. The first two responsible for creating the world’s first Rhythmicon AKA drum machine, Cowell making the order for one to be made by Theremin. Roy Vedas were the first ever to use auto-tune in music and the rest is our horrifying present. The automatization of the drums set the stage for what we see in the music world today. It is inevitable that such inventions affect traditional music as well as contemporary ones, which makes it very hard to listen to and discuss Eritrean music at the level of creativity and ingenuity. Because how can you? Hope is not lost, the soulful melody, well thought lyrics, the harmony of the duo and (for me) the amazing video clip do makeup for the drum machine invasion. Noticing Fitsum’s earlier music one can’t escape the fact that he almost always tries to incorporate the forgotten classical or rarely used Tigrinya rhythms and styles in his work, I feel he did it here too but I had difficulty to pinpoint it this time. It might be from Abrar’s own style of music too? All in all it works. The music video is a mix between narrative and abstract filming styles. In the opening frame, there is a fallen bicycle with the wheel still moving, then you see some young boys in a concrete environment. That’s when the two singers appear in green fields, in the middle of the road. Very quickly it’s established that the singing duo and the kids are in two separate worlds, two separate state of minds. The singers themselves are from two different generations, with different journeys yet they are both now on the fields in the middle of the road. The kids are from a much younger generation to the singers, carefree trying to play but it’s not a smooth playtime. Two of the boys playing basketball against each other but both of them wearing the same ”Ibiza 69” jerseys, same team making life hard for one another. Every time the boys aim for the basket, none of them score. The one boy riding the bicycle peddling forward but it goes backwards. The only little girl in the video, plays alone with the ball standing firmly but then all of a sudden, we see her trying to do cartwheel that also goes backwards. Boomerang much you might think? As with the lyrics though, every move here too is carefully thought after. The singers are now in a nice small green place with waterfall but there is distance between them, can the distance be bridged by their common dream? The kids finish a not so fun day at the playground and we see them in the same green fields as the singers but never sharing screen. In the final scene we see both singers jumping maybe taking a leap of faith while holding hand. While the credits roll, we see both of them disappearing walking away from us towards the light at the end of the narrow road. We are left to believe that the distance between them is no more. A delicate way to address our generational lack of genuine cooperation and unity. There is a young generation waiting to reap what we sow. Enhanced audio sync and cinematography would have elevated the clips purpose. The real stars of this music video are the kids! Hello All: A few questions for thought: Are Eritrean opposition groups and opposition websites doing: 1) More harm than help to Eritrea and Eritreans, 2) Only focusing on the negative side of Eritrea, 3) Supporting wrongful acts of the U.S. and the U.N. Security Council, 4) Pretending not to notice the wrongful/illegal acts of the TPLF/Ethiopian Government? After so many years in passing, does this not signal the need for a change in approach/strategy? Most of what is now being discussed on opposition websites is just utter nonsense. DJ Adrian C also advised Charlie “If you want to dance, why don’t you come out the BUSH.” I paraphrase until I find the exact quote. No wories KSnake with the Bushmen … “The Gods” indeed “Must be crazy” for you to miss that the Jedi insect is a utilitarian and has used the bottle as a container for a WIN WIN formulae. Your answer key is partially right. You err in not leaving it for discussion. The 6th and 17 response @102. for 9/17/17 for a better tomorrow @18. Answer me this: Is the No Dialogue Policy only for the F&B or to any and everything? Your answer key is partially right. You err in not leaving it for discussion/dialogue…. Adrian Cronauer: I just want to begin by saying to Roosevelt E. Roosevelt, what it is, what it shall be, what it was. The weather out there today is hot and shitztzy with continued hot and shitztzy in the afternoon. Tomorrow a chance of continued crappy with a pissy weather front coming down from the north. Basically, it’s hotter than a snake’s azz in a wagon rut. The 6th and 17 response @102. for 9/17/17 for a better tomorrow @18. So what do you propose they do instead? Now that Haile S. has affirmed the “remembrance of things past”, it is worth contemplating a little more on the nature of memory by delving into my own past. A day or two before reading the following: “…the kinet (ኪነት) dictatorship by the weTat zemach (ወጣት ዘማች) who came to purify Eritrean youth with the red waters of Marxism Leninism…”, I felt the itch to talk to someone from my childhood. Who would be a better candidate than childhood friend with whom I fled Eritrea for Sudan. I have been wanting to reach out as I’ve seen my childhood friend on FB for some time, to whom I had not talked to for close to forty years. So, I finally did. The outcome, well, is something personal that I had written but kept it stored was now itching to be read much as KS was compelled to dig deep into his memory bank when Bee’s name graced the awate column. The association of the name Bee to his recorded and written work on bees are screaming to be explored. Here is mine with some minor adjustments, there is much more that I am not ready to share. For now, this brief narrative will have to suffice as I deem it befitting to Bee’s article. The vivid memory I have of the place of my formative years is pigeons. On the wall high up the roof of our house where I grew up – a safe distance from cats and dogs, retrospective supposition here – the pigeons would come down to the space between the rooms, a space where there was a plying area. That space was also shared by birds when they needed to nip on some seeds while they made sure to keep any predators at bay. I don’t remember who made the little home for these pigeons. I’ve seen those birds fly with such ease and with such grace growing up. The closest that humans could ever come to flying is learning the art of fleeing as refugees tend to do. In my mind’s eye, with all certainty, I could locate the voice and the face of the personified version of the kid who learned to fly akin to those pigeons, but only when my feet are grounded to the earth. I flew away from the dangers of extinction where predators came in all guises. You can call it the art of intuition. You may call it the art of survival. Nonetheless, the oppressive space in any strange land I began to sense at visceral level as though I knew how to survive in that space between and betwixt of the oppressor and the oppressed: In other words, the face of oppression; it was an all too familiar just like my shadow when as a stateless young man (i.e. refugee) moved from country to country during my younger years and oppression was there to welcome me each step of the way. The only difference may have been the language in which the oppressor did the oppressing or the approach might have been different, but the corollary is one and the same. * The ideas for the above narrative come from many sources, but, since most of the above piece is extracted from a lengthier piece I wroteI after reading the following books back to back: (1). Nabokov’s Memory, Speak: A Memoir. (2). Lanham’s memoir: A Home Place: Memories of A Colored Man’s Love Affair with Nature in which he speaks of adapting to survive in the racialized and hostile world of U.S. Finally, from young African American poet, Smith who dramatically tells a story in a poem titled “Counterfactual” of survival his dad taught him when he was 12 years old – commonly known among African American parents as “The Talk.” African American parent use the talk to inform their sons when they reach adolescence stage of the harsh reality of the world; where they are suspect through-through and must therefore learn how to survive from State authorized police brutalities. The police, these African American boys from young age learn, are not necessarily out there to protect and serve the African American communities. I don’t want to pass without responding to your exquisite memory of the far past and skill of communication. I saw it in the middle of that sleepless night, but somnolence tookover and the next day your piece made the “french leave” or the ‘filet a l’anglais’, its french version. There is this thing in discus or awate where you see a comment and suddenly disappears loosing its track. That is what happened until I saw it a while ago reviewing what I wrote and got in response. Anway, back to what you said. When reading what people like you endured, I feel like I made it straight to heaven, eventhough the treks that I travelled to arrive there had bumps as large as dinosaur goose with feathers deployed. I am not going to keep you on these exchanges albeit lovely, at the same time consuming conversations, but just want to encourage you continue gracing the forum with your sublime narratives that turns suffering to itchy safeways. 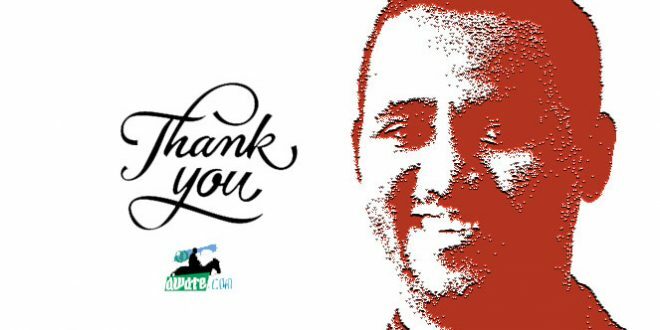 Many thanks for your generous words. I’ve come to enjoy DISQUS for its convenience, but once in a while it goes through hiccups of its own making that I learned to let it be. And, once in a while, too, when I am in a hurry, I write my response right in its dialogue box as I am doing right now knowing all too well something seriously could go wrong and my note could dissipate into oblivion, but that’s the price one pays for the “vagaries of digital communications”, isn’t it? as one legal scholar put it when some such glitch occurred. Be that as it may, I am sure we will have our run-ins (in its positive sense) in this august medium, hopefully, sooner than later. There is plenty that one can unearth to write about, all thanks goes to the imbecilic regime that goes out of its way to commit blunder after blunder. Of late, I’ve been preoccupying myself with the way Eritrea’s Embassy in Holland was behaving erratically just because Fitsum and Abrar are going to have a concert on 21st of October…It is fascinating to observe in how a place where diplomacy should be the rule of the norm, it is being used as a place of whence intimidation, blackmailing, propaganda machinery emanates from, instead. It is what is as they love to say in this country when things seem to amaze and puzzle all at the same time. We shall meet again, Haile S., soon – at least in this space. It is a shocker for me to read about Eritrea twice from my twitter account in a given day. And here is another visa restriction by US on citizens of Eritrea…. I’m sure that you will find the English version as well. En Estados Unidos, el Departamento de Seguridad Nacional (DHS, por sus siglas en inglés) y el Departamento de Estado se coordinarán para poner trabas a la tramitación de visados por parte de personas de cuatro países que se negaron a aceptar la deportación de sus ciudadanos desde territorio estadounidense. Antum sebaat, Hijis cabey nabey ilna? I get my news feed from twitter and it was surprising to read about Eritrea, let alone twice. I noticed now that it has already been discussed. These are difficult times for me as I’m out of luck with free time. I’m always running from one project to another. Thanks for the heads up, though. A la ciudadanía de Afganistán le ha tocado ser reconocida como la ‘menos rentable’ del mundo, según el ‘ranking’ de la compañía Henley & Partners, que analizó “los niveles de libertad y la calidad de vida” de sus ciudadanos, reseña el portal Quartz. Afganistán ocupa el lugar 159, último en la lista del Índice de Calidad de Nacionalidad, con una ponderación de 14,6 %. 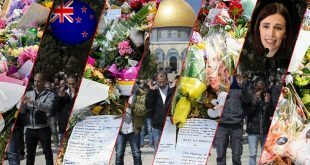 Los ciudadanos de ese país surasiático son libres de visitar sólo 24 naciones sin requerimientos de visado previo. La República Centroafricana, Eritrea y Sudán Meridional también entraron en el top de la lista de ciudadanías ‘poco atractivas’. Thank you for the great review. Excellent piece, gracias, again. 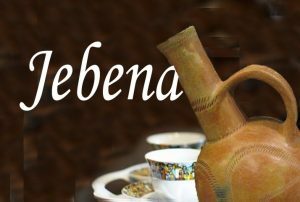 Your article is a great addition to Beyan’s article, and you have even delved deeper into technical aspects which must be an eye-opener for folks who consume and eliminate politics 24/7, Eritrean style. Well, bees, the insect, prepare honey to make it through the next winter or dry season. Like we do it elsewhere in nature, People steal the honey from the hardworking bees. Bees, however, never tire. So, Bee Nasser, keep coming with your honey. We will steal your honey-articles, and put it in Himbasha, akelet (Ga’At), milk, tea….and will pretend we understood you. 1. Contrasts and symbolism: The collaboration of a veteran artist and a talented young man sends the message that generational interaction, which is a must for any society to move forward. 2. The collaboration of a Muslim and a Christian holds the theme of the song (Hadnet) real. Although the title is about Hope, the core message is Hadnet (unity), without which hopes could not be attained. 4. There are examples of songs which took unexpected turns. Some that were expected to do well don’t do it; and others which might have been projected to do poorly make it to the billboards. As you said, the jury remains to be out there. 5. The lyrics go from a general universal statement:bahgi’leni (I’ve a desire/hope) to giving details as to what those specific desires are. The third part suggests how those desires could be attained, UNITY. Thus see them holding hands up in the air while they walk together into the dawn (hope) twilight. 6. Finally, there is no 100% in life, and I have to criticize you for using code words such as “arrogant nationalism.” The best path is midway between an arrogant nationalism and pacifism. To do that, we need to refrain from using phrases and words that have been known to cause divisions. We need to encourage conversation, free of prejudgment, between citizens, just like Fitsum and Abrar did, unimpeded interactions, no bias, and no prejudgements….free citizens’ conversations…bahgi’leni that nobody will tell me what to write and what not to write…. Yes… Above the falling rains… Makes me want to holla, 00zing out of the pages, is also pentatonic. Try it in E Major. Strength in Numbers. Do you have a follow up? This algorithm I will share shortly. You are doing a great job, Thanks. Beyan Negash and Bee (Nhbi WuWu) Nasser, On my way to pick up two amps…going electric a change from acoustic for a while… Keep rocking. Have you guys read Nathan Mccall’s Makes Me Wanna Holla. Setting is Norfolk Virginia. …. Keep Rocking! and Holla! Seven Yrs ago MUSIC! Follow up on the SEVEN. It 010110… DATA BASE Waiting for the THIRD in E Major. Jedi Order, the SEVENTEEN have their directives. No E-mails have bounced back. Its all good!!! Many people brought to your attention to write what they can understand. I asked that many times. Now you are telling me not to forget SEVEN! What is that? Why do you write in codes that only you understand and expect others to understand you. I don’t and I doubt anybody does. Yes, I will provide you one answer for now. Efficacy. And the issue of the Seven Eritrean nationals is of at most importance as all know. What fearsome animal resides in the gutters of [Abstract] Algebra and the slums of Topology? Most likely arrays (of Determinants, and Matrices) with their endless numbers. This is just until my Memhier responds to you. I will provide you a link, scientific paper, and or summarize it here. It is the answer to your excellent question. I happen to be on the road, sebekh sagem that I am, manuvering my camel and the @85 caravan on lead. I am confident you will make sense of this pertaining to your qns above. No need for a long soliloquy from the ant “methinks” now. against anyone trying to alter the hammerlock on the human imagination. that a better tomorrow is possible. horrors and end of the worlds and things or worse. You Sir are amongst the upper echelon, as recognized first by the Admiral, to at the very least and on occasion WINK. After all it was you who came up with the excellent initiative of abstract algebra… 2x(1 +9) = 20 is not new arithmatic. The point is we all aught to DIALOGUE (Lemon key konet Hamukhushti) for optimal progress with DOUBLING DOWN on our EFFICACY and mutual pleasure. And SK should be and is amongst top O, logistically logy logy deduced, insects with NhhBee, Mez… insupport of the Admiral navigating a new era Fresh Water smooth sailing. 5th 17 response is good. @68 PLUS ONE 6&9 180 rotation, I urge you to refocus Skaleab! 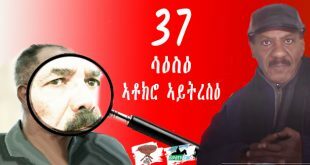 @68 with 5th 17 good we are now knocking at ’85 dagamay fetene EUuwoot Harra Ketema Barentu! Weddi AAffa Command. And Memhirey Mez, yes you are (Not x “Not quite”) you are upper echelon eigen positive Vectors Forces ArHibo effecting our travels on Mengedi KOM @ Keren. Unto my Admiral delegated project! Your views are valuable as far as you make them readable and understandable. If you want them to be understandable, you know what you have to do Solomon. By helping us to understand you, surely you will help to your ideas to find tractions. We need a Rosetta Stone and a Champollion to decipher Xaxe’s hieroglyphs. This kid is a brilliant kid. He grew up around me. I don’t know why he is doing that. He is a well read individual. I gave him my advice, it doesn’t work. Or someone like what have said do fever for us to disentangle his writing. Have you ever tried to do that? I agree he is, based on some lisible part of his scripts. I never even thought of doing that in dream. With all due respect Ayya I reject your classification of me as “a kid.” Though it is true I was a kid that grew up around you, you should recognize that Solomon is currently approaching the age of Fifty in Three give or take One. I will further inform you that as far as this cause of justice and rule of law for Eritrea, subject of our main preoccupation which has consumed equally our respective entire lives, you Emma and I tSAtSE are in fact peers. With mutual respect for our convergent and divergent stances on all issues, our mutually equal empirical and fields of studies knowledge as well as our stiles, tastes and methodologies we have thus far employed and continue to employ in order to affect the progress towards our collective goal with optimal efficacy. This, Ayya Amanuel, is the essence of diversity*. Sir, the whole point of progress and change to achieve quantifiable progressive change with each generation AND NOT be molded in the image of Big Brother clothed in the same kakhi uniforms as clones of one another under the watch full eyes of Big Brother who denies and persecutes individuality. I believe George Orwell’s 1984 imagery we can contemplate. Now, true in the year 1984 and 1985 the influences of my Ayyatat Amanuel and the Stoney Brook duo and others, their watchful eyes and mentoring for both my personal safety and growth has served me well ever since, and I admit, the need for Big Brothers and Sisters counts as an important necessity as is food and shelter for growing children and school age youth. There is also room for your constructive criticism and from others, which I take meticulous notes of with great appreciation. What I will not accept is, reprimands and isolationist tones by folks with agendas of drowning out legitimate ideas and political stances that differ from them, which could be prove to be newer, better and a lot more efficient in achieving the goals. And I suspect that both you Ayya and Haile S’ mention of me in the third person, while I am present in the room, is not only rude but also an attempt to minimize the value of my miniscule contributions here in this forum and beyond. I will have you know, that it is both purposely for strategy and by fate that I write with abstractions. And this, disqus erra, writings of mine was patented in the earliest versions of awate.com in it’s toddler years. The point is, my abstractions, belligerence and nuances of a pest insect though it may seem to some or many, but it s has served to reach longer and wider audiences in our greater community as it was designed. And whatever is not coherent at this moment, there will be ample time to edit and polish it. Yes, if your complaint is not many understand the writing, I submit to you that not many people could get beyond reading the first or up to d or six pages of William Faulkner as well. 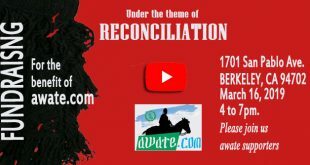 It is my duty as a bridge to empower the 40 yrs and below Eritreans by serving rather as a unique and vital bridge by narrating what I have witnessed. I printed nearly Three Thousand copies 1997 Eritrean Constitution by myself and distributed it in the 2003 Eritrean Washington DC Festival gathering, after the NY EPF, fellow officers, undemocratically opted to sit with no more than 100 Eritrean Scholar elites including the good Dr. Berekhet to discuss and argue on the merits of the document. Totally blind on their fumbling the purpose of solidifying to the significantly larger of the Eritrean People, solely due to their aversion to an emblem of Red, Yellow, and Green addition to the BIG BLUE. Your suggested, for the positive corrections of the tSAtSE Jedi, is noted and will be implemented in due time. Your young brother is cognizant of the stochastic properties of the big function. And as a tSAtSE size tSEtSEr or pebble will keep throwing boulders into the machine as it IS A SACRED DUTY as well AS A RIGHT which is earned. Respectfully Ayya Amanuel, I pray you filter the important messages from my signature CODING if you will. Think with your kind hear towards the kid sitting in your living room witnessing the Mets 1984 – 1985 miraculous World Series Champions Run. As in you and I being Dewight Gooding the Pitcher and Carter, Gary the Cather. Or I a Gary Coleman saying to Big Brother of 1984 “Wacha talking ’bout Willis?” maybe vise versa in this case. Hence, “Different Strokes for Different Folks” Ayya Amanuel. “Kid” only imply to the difference of age between us. Nothing else. Not less wisdom, not less maturity, and not less knowledge to the subject we are dealing. This comment of yours is plain un entangled English everyone of us can understand it. The whole plea was to write and communicate in this manner. I just hope to continue you like this, for this is the only way the forumers can understand and learn from what you have to say. Again never in my dream did I thought you will take my intervention that way. I am realy sorry. I feel I was acting like a ddQua (ድድቛ). so you become normal again , You are agitated that Mr.Amanuel called you a KID and you wrote such long reply , I think he is right , you have a very thin skin too . Which one of you is commanding your Two man reconnaissance unit? Is it Blink or Nitric? I see Nitric attempting to divert and find a wedge by attacking the terrain which he is familiar with. The Ethiopian Topography as he is focused to draw the very wise Mr. Kim Hanna and you are delegated to hit me with what you believe is my achilles heal. “Normal” you ask? Normal is relative. But Dialogue and ascertaining your strong earth to stand on for the inevitable “political solution” I do indeed have great respect for. My Brother fellow country man Blink, I assure you the formulae is guaranteed to be a Win win win win all around. For all Eritrean and Ethiopian Nationals, including the Shoan awatista folks, KH, Amde, Abi Oromia etc etc…. As far as my normality or lack thereof, believe you I brother, there is at the very least Two decades worth of my writing to support and highlight the rational of all the abstractions and codings I have utilized out of necessity. 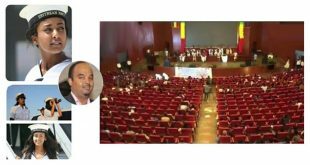 Post the resolution and the full implementation of constitutional law and justice of the the Eritrean people, the pioneers such as SJG, Saay7 and many many others will have plenty of deep wells to draw from and dissect the causes and effects of how we have gotten where we are. I am giving you due respect, to assure you that you would be best served to lead your platoon in a retreat and reproach after you have thought it through. I assure you we are part and parcel of the same Eritrean Forces. Here, since it is Saturday and links are allowed, I will provide you the link to a General who was court marshaled and in a military prison where he leads a successful insurrection leading fellow armed forces imprisoned against very well armed military prison guards. I will want you to study very closely of how meticulously he studied the formations and deployment of the riot control guards by drawing them in with one or several fake uprisings. This is to say, I saw you and your unit comprising of Nitric commencing your approach long before you huddled and agreed on the strategy. AAshera miles away. I believed Harrison Ford stared in the classic movie. I promise to provide the link after I find it. But a normal and succinct answer to your question a simple “no I am still not normal would have sufficed.” But then, that would’nt serve you, tSAtSE or our progress to the resolution of our issues with rapid efficacy. Rest assured Blink I have all the basis covered. And Nitric, myself and you too Blink will be in the Winners Circle. But what ever you do please do not blink. I wouldn’t want you to miss it. Thank you for engaging and providing all of us with more data. It is stochastic after all, ha? https://www.youtube.com/watch?v=THWd2Qtp_mo Robert Redford is the star. I am not rushing to publish to formulae, resolution, data, current trench lines, the Political Resolution Proposition etc etc… you have time to huddle with your entire battalion for Hzbawi WaEla 2017. Watch the entire movie… very educational. TRUST. Two films in one day , the first one (42) i saw it long time ago and the second one , come on . Well Sir, I will construct a preliminary simple example for the purposes of providing you a hint as well as a “hook” for the all. Start of Eritrean Revolution 1961.
and the Revolutionary and Evolutionary Jedis, I agree with you Simon Kaleab, do indeed come from the “Slums” and “Gutters”. Just ask Frantz Fanon! The trifecta value of X then naturally is AAshera or Ten, hence Weapon X! This simple example of the Abstractions should serve as a mathematical proof for both you and Memhirey Mez. I doubt the you good Sir, with Kaleab as a Sir name is afraid of any monsters and fearsome animals. Follow all you want in the “slums” and “gutters” the Jedi’s are loose!!! witha a perfect 2020 vision Since ’78, hence A40 A40. Yes, 4th 17 have responded! check your e-mails folks. Think Topolgy later… it is neither. A mouse trap of sorts. Doubling your pleasure : we have two 1 +9 in 1961 and 1991 . You have your 20 and you have your 27th chance. Topology ,.. please or PAaalease! Impressive, a new way of doing Arithmetic. Yes he did. In sAho London. —.> 1986 is only one of 4! In this penalty shootout match advantage is with you. Combinatorics —.> 4! = to Marshawn Lynch’s, Kobe Bryant and Eritrea’s Day = 24. Thanks Jedi SK. Love in Time of Cholera or One hundred years of Solitude as are lined up to kick the 4th and 5th penalty…. Keep ‘me coming. The Admiral, with his keen sight, is right about you. Why were the SEVEN Arrested? Now that we know the what and why? What part of my code did you not understand and why. 2nd 17 response.. we are now at 34? Baring the length of the code, find a false statement or any sentence that you did not comprehend… Prime Time.. The third (permutation combinatorics punc!!!) SEVEN is third command and 51 is a prime what? Well. Well, well, well, you are full of surprises aren’t you? Where to start? I know: Pauline Kael. The woman had elevated review to such an art form that sometimes, strike that, always her reviews were better than the movies she was reviewing. Then we go to Peter Griffin, the dad in Family Guy one of the most biting satirical show even if it’s an animated show. Reviewing a “coming attraction” for a buddy cop show (one black one white cop), he looks straight at the camera and says, “we want this to work because one is black and one is white.” I wonder, I just wonder how much of that is going on with the massively positive reception to the Abrar-Fetsum duo. Finally, Bee. Bee, Bee, Buthaina. Are you actually gleaning symbolism from t-shirts, bikes, and camera angles? This is why people don’t like you artists 😂 Specially Tes who told us that “bahgi aleni” translates to “I have a dream!” with echoes to MLK. But seriously, I wish the song was half as good as your prose. This is too bad because I am a huge Stan of Abrar and I am rooting for the kid too. That was very good reading ..“Music is a divine gift” because just I love you name,, Bee and it’s product I have good experience on that field ..
You let me go back my early years.. Just every music created on one particular moment I go back to remember what experience I went through . “Bahgi translates to; desire, aspirations, longing and fancy ” as you said it ..”There is a formula on how to achieve this vivid dream “fatli fiHska gemed, fQri reriKa snit, tesfa seniQka Tsnaat” the components of which demand dedication, hard work and above all a belief in achieving the dream; if all provided, both singers echo “ybSaH’yu tmnit”. As a poet and a master of ceremony (MC) of Jebena yourself, you know a good art work when you see one. Bee does just a marvelous job in artistically crafting her criticism much as the duo does with the song bahgi’leni. Nothing but sweet and honey are what can be extracted from this article as you wisely make the connection between her name and the “good experience” you say you have had “on that field”. Sure !! 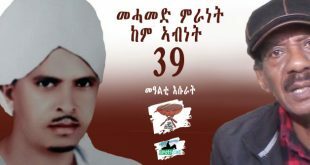 I have written a book about bee so far not published ..I had so voice rerecorded the people to hear it in their car..You remind me our hero Dawit of who is arrested in PFDJ prisoner (arrested) . He came to my house and even he took some sample of honey.. with hand written of my book..
Don’t forget to open Jebena.. The vanishing of countless individuals we will never forget. It must be heart wrenching to see the fate of people one knew who were made to disappear. I just hope, when all is said and done, some would have been saved so they may tell their stories to the world, one example of which is Dawit Isaak whom you just referenced. As for Jebena and weekend Qursi bun, I am guilty as charged. I never seem to go there when it is not even one digital block away from this space. One of these days I hope to really make the time for it and enjoy the many talents I gather are there entertaining people with their Tigrinya language acumen. KS, you said something interesting about your book that has yet to be published, but you have a recorded version of it. So, how might one buy it or have access to it then? I would love to listen to it as I drive on my daily chores. 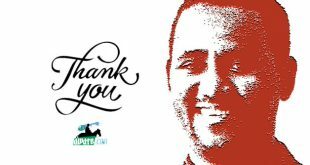 Thank you Bayan Negash . I must thank you for everything you mention above really ,, thank you !! you must know this story Is back long time since Dawit Isaak came to Riyadh. Hope now he will tell us what was okkireality back then .. I am looking the more than 2O years old cassette. send me your address so I will try to send you. kokhobselamone@gmail ( My email address ).. Better open your email now.. Describing your input as “gibberish” does not do justice to amateurs like me. I enjoyed your excellent review in style and positive critique. Yours and Nasser’s complement one another to deliver a juicy lesson in music that highlight in just paragraphs what music means, how it should be read, and listened to. Thank you both. Shifting the compass toward art has given me a great deal of a reprieve at a personal level. Of course, as was alluded to it by many commentators, through music we are still addressing the state of our sociopolitical landscape. The only difference is that this is not the 24/7 hard politics that we tend to gravitate towards, because when the political atmosphere is not resolved everything else is impacted by it. So, a stable political system is our dire need. I get that. At any rate, back to Bee’s piece. You are right, Ismail, there are many converging and diverging points between the two pieces. And its complementary nature as you succinctly put it provides for a sheer coincidental work of tandem. There is indeed a formula! Betri TTemirka neQue zeybll Ande Hidmo Ande HintSA ahado kfle Handesa. Ya Mugandis Awel bunn Jebena nrakheb. The way you interrogate the work of the duo by showing instead of telling invites your readers to put their guards down and at once to concentrate being absorbed into the moment in time of enjoying the art of music and song; and that there are ample lessons on the nature of music and songs that any reader can glean from if only they allow themselves to go there. You show how music is a language of emotion that nurtures our spirit. This deeply thought out entry is a perfect hook for a reader like me. You don’t just use the language to convey your message but you construct it bit by bit, you build it one stroke at a time through reason. For example, the logical way in which you arrive at the meaning of the title is brilliant. Such original interpretation of the title alone excites this reader for what’s about to come. Then you continue the job of painting through the mechanics of the lyrics in the way the duo made effective use of the voices through harmony and melody. The breakdown in the use of the lyrics as it transitions from personal dream to the communal one is genius. You leave no room for your reader to be askance as you bring the three ways of interpreting the same phrases ሕራይ ዶ? (Hray’do?) 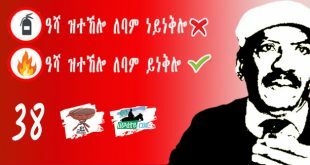 as a way of “asking”; ሕራይ ዶ ዓለመይ ሕራይ ዶ! (Hray’do Alemey Hray’do!) as “stating”; and ዓለመይ በልኒ ሕራየ (alemey belni Hraye) as “pleading” and you go on to analyse each context in which these phrases are being used by the duo. I can go on and on but I don’t want end up critiquing a critique as other readers can engage with the subject of music criticism that you have laid out for each one of us to try to resist your interpretation, but this reader, I must admit, has been fully disarmed with the power of your analysis. Many thanks for music criticism par excellence. Can’t agree more! Bee got true talent to start Eritrea Got Talent. Hey, one never knows, eh. I am all for creativity & ingenuity toward artistic endeavors. 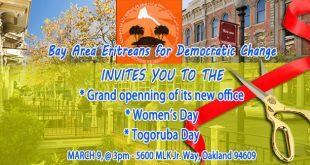 Providence knows Eritrea needs some such outlet to deal with the endless wrath, most of which of our own making, that continues unabated. One of these days kbSaH’yu eti tmnit. BTW, thank you for citing Vermeer. Like you I am into art especially painting, it is my cup of tea. I visit wiki every lunch to regale my eyes on whoever painter is depicted or linked there. Today happens to be John Singer Sergent. I invite you to see his painting Jaleo. You raise something important when one uses mediums like awate to communicate one’s ideas with majority of the people with whom there is no acquaintance at a personal level, which begs expounding using your note from yesterday. I was pressed for time, big time when I read your entry earlier and passed it giving a node (i.e., vote up) to let you know that I read it; but I think it is important enough to spend a little time over it now. You mentioned in your earlier post in how you read my writings over the years going back to dehai days, yet, granted, you had no way of knowing how deep is my knowledge in art in general and painting in particular. I must have not given this a thought before until you mentioned you check Wikipedia every day during your lunch break to see some interesting paintings. Now, you are, by far, one who would have a great grasp in art than I would ever be. Mine extends when my friend YG and I went to Getty Museum in LA metro area and a couple of art museums. Now, he would be a good company to someone like you, because his intelligence not only has depth but magnitude and range. As for yours truly, well, let me put it this way. I honestly cannot draw a straight line using a pencil and a ruler let alone to give this erroneous impression as I must have done when I copied and pasted “The Art of Painting”. I did that because the topic was art and why not, I thought, expand this to other areas of artistic endeavors while we are at it, and someone could come along teach us more about painting like Bee did about music. So, the question that this begs is this: How does one present a piece of an opinion without giving an impression that one is an expert in something just because – as I did – one avails certain element of a conversation into the fold in trying to make larger point, which in my case was this: That Bee’s writing is picturesque. I really felt I was not only reading her ideas but seeing them like they were on some portrait to be viewed. In retrospect, this probably is what I should’ve said, eh. I am not sure what the answer is to the question. Should one do a disclosure of sorts to let readers know when something like this happens? I don’t know what the right approach is to this. Any thoughts from anyone is welcome here. I received from discus interesting addition comment from you, but couldn’t respond as it is not appearing on awate or discus column, (may be in detention, እንዳ ኣውነ ሓዞ). I am waiting for it appear, to reply. You raise something important when one uses mediums like awate to communicate one’s ideas with majority of the people with whom there is no acquaintance at a personal level, which begs expounding using your note from yesterday. I was pressed for time, big time when I read your entry earlier and passed it giving a node (i.e., vote up) to let you know that I read it; but I think it is important enough to spend a little time over it now. You mentioned in your earlier post in how you read my writings over the years going back to dehai days, yet, granted, you had no way of knowing how deep my knowledge is, say, in art in general and painting in particular. I must have not given this a thought before until you mentioned you check Wikipedia every day during your lunch break to see some interesting paintings. Now, you are, by far, one who would have a great grasp in art than I would ever be. Mine extends when my friend YG and I went to Getty Museum in LA metro area and a couple of other art museums. Now, he would be a good company to someone like you, because his intelligence not only has depth but magnitude and range. As for yours truly, well, let me put it this way. I honestly cannot draw a straight line using a pencil and a ruler let alone to give this erroneous impression as I must have done when I copied and pasted “The Art of Painting”. I did that because the topic was art and why not, I thought, expand this to other areas of artistic endeavors while we are at it, and someone could come along teach us more about painting like Bee did about music. So, the question that this begs is this: How does one present a piece of an opinion without giving an impression that one is an expert in something just because – as I did – one avails certain element of a conversation into the fold in trying to make larger point, which in my case was this: That Bee’s writing is picturesque. I really felt I was not only reading her ideas but seeing them like they were on some portrait to be viewed. In retrospect, what I just said is what I should’ve said. Perhaps. I am not sure what the answer is to the question. Should one do a disclosure of sorts to let readers know when something like this happens? I don’t know what the right approach is to this. Any thoughts from anyone is welcome here. Yes, God has created you to be humble, but not to the extent of self-doubt, not that you are not confident in yourself but that I want to play the role of “big brother”. Indeed, you happen to be among the few whose sharp pencil elicit an envy. On the subject of discussion, you are within your right to comment on artistic work. One need not be a musician to comment on music, likewise, one need not be a painter to comment on paintings. I know HaileS will give us an approval. I appreciate your unsolicited but heartwarming suggestion. I didn’t realize my note would come across to readers such as you’ve described it here. Haile S’s note just struck the right chord in that it made me think about how readers and writers conceive one another when the only thing a reader, in this kind of setting, has is the individual writer’s written word. Of course, over the years of reading a certain individual’s writings, one formulates certain impressions of the writer in question. And, the last thing I wanted is for someone like Haile S., who, by his own admission, said he read me for over two decades. The least I can and should do is humble myself and be forth coming, that’s how I saw that. Sincerity and honesty are the two hallmarks I keep on high pedestal much as one show reverence to one’s loved ones. Absent these two hallmarks you know what one is likely to inhabit: Hubris. May the cosmos protect me from crowning myself with an inch of the latter. It is why I always find it a bit precarious whenever individuals who are eloquent writers – in this instance, you MS – lavish me with my writing skills for which I feel so undeserving. I must submit to you though, MS, it does feel good from within to hear it, but I want to shoe it away as immediately as I can from when I heard such a compliment for fear of undermining the two aforementioned virtues I hold dearly. This is not to take away from your sincere suggestion, which is duly noted, more likely than not, it will be heeded to the letter and to the spirit in which it was penned. I just want to say that, I have also read you since the Dehai days . Although I don’t have a good memory as my fried SA but always enjoyed your humility and humbleness. What I read from your humbleness, and many others in this forum, like Saay, Ismael, AH, SG, Haile S., KS, Ghezae and many others is that how lucky we are as people we do not have people like you to lead us. Kubrat deqi kubrat, nnebsom kebirom Nseb zeKbru. But instead we have ezom Husrat FTret, nbaElom tewaridom nhager zewardu. Thank you so much for your kind gestures. Just being part of the dehai pioneering era is good enough for me to know you were there. But, በርሄ ሐወይ ሐፍ ዘይትብል ከባድ ሸኸም ኢኻ ደርቢኻለይ። እምበር ዓዲስ ወሊዳ ዘወፍዩላን ዝተወፈዩላን። The pain and the agony went for far too long, Berhe. Our people deserve to live in a country where some semblance of peace and prosperity can be had. We have all of the ingredients to make it work. People who sacrificed their lives for it. Those who spent their youth through adulthood for it. And the likes of me who simply want to play constructive role in making Eritrea become part of the world community. Nothing more. Thank you for this interesting feedback. I share with you the lack of time preventing us from responding quickly and adequately. I have 2 apologies to you. The first includes a disclosure. I am sorry for not letting you know or reminding you that we had very friendly exchanges few times at Dehai when I was in France and +. I admit there is no way of linking dots based on sporadic communication that occured more than a decade and half. More importantly, such pale acquientance does in no way justify or allow one to abrege the time necessary to rekindle communications and friendships. In such internet based forums, paradoxally, we (at least I) tend to feel quickly easely friendly or quickly become get irritated after few exchanges as if the natural curtains of prudence/tolerancr only applies when we are face to face. I also suspect that our tradition and our present political situation contributes to go into accelerated intimacy. The scatter didn’t help us to find easily our own social nitches. Awate became where we find our nitches. Awate became the defaut “cercle des poets disparus” or the dead poets society. (it sound better in french). Beyan now I don’t feel to make a disclaimer even I hadn’t seen the film, albeit it is less fitting to the analogy I am making. You don’t need a dislaimer either for bringing Vermeer whose painting fits with the analysis you were making and you appreciated that tableau. The second is not quite an apology. I was going to say sorry for accusing you of an expertise, but I am retracting it for you have at least one. Sometimes, the best of people come out when provoked. The proof? you came out this with thid gem of interrogations on modern instant communication from distance I just tried to adress above. Like you, I call on other forumers to add their imput. For me you are an experte, not a painter, but a monochrome engraver of words. My accusation was not without foundation; I read you on wide variety of subjects. Art is one, but its expression and the instruments we use to express it vary. It is in this sence that I understood your citation of Vermeer. I used one of the instruments of art, but very badly. Like many of my generation, I went into leisure charcoal painting of the Beni-Amrs, the Marx & L&E (great to paint BTW), but waned quickly and transformed to gazing and admiring other’s talent. I read some Barthes (Barthes who?) especially his famous Mythology. I haven’t read his major works on linguistic, and know nothing about it. Yet I feel as if I am a specialist of Barthes. When we know something that is not as common as the birds in the sky, we feel one eyed among all blinds. That is purely great human character. Awate has given us a great medium that allows us to discuss our lacunes. Some time people like me jump at every excellent story to add a sticker to the filler of that lacune, to make sure it holds. Loke forward to reading you again. You must be one who helped me appropriate the “between the hammer and the nail” analogy that I am fond of using…or the story that you told about how the Ethiopia’s socialist junta who would dictate which directions one’s hands should face when clapping, or something like that, if my memory serves me right. Talk about dictating how art should be experienced. This hasty response will have to suffice for now until I give justice to your artfully constructed correspondence. Consider this curt response as a courtesy call back, to borrow the language of telecommunications. I am moved beyond words for so many eloquent reasons that I sense in your writing. Do I have it right that I have the right Haile S. in mind. Seeking memory confirmation desperately here. Good you remember all that including that proverb I twisted placing the thing over the nail. And the kinet (ኪነት) dictatorship by the weTat zemach (ወጣት ዘማች) who came to purify Eritrean youth with the red waters of Marxism Leninism. Yes I am. Thank you.